Use of a daily electronic diary offers real-time data collection that has potential utility for the evaluation of pain symptoms and identification of individuals at risk for catastrophizing. In patients with chronic pain conditions, daily pain assessments using a smartphone app (mobile health [mHealth] technology) indicated a positive correlation between perceived change in pain symptoms and levels of pain catastrophizing, according to a study published in the Journal of Pain. Pain catastrophizing has been linked to a greater cognitive focus on pain and may be a risk factor for extended pain symptomatology. Use of a daily electronic diary offers real-time data collection that has potential utility for the evaluation of pain symptoms and identification of individuals at risk for catastrophizing, who may benefit from targeted psychological interventions. A secondary analysis of previously collected data compared individuals with chronic pain who rated their pain via smartphone app (BWH PainApp) as worsening in individuals who rated their pain as either improving or stable from day to day. Participants completed questionnaires — the Pain Catastrophizing Scale, the Pain Disability Index, and the Hospital Anxiety and Depression Scale — at baseline and after 3 months of data collection. Participants were asked to share demographic data and baseline pain assessments using the app, which sent daily reminders for participations. On a daily basis, individuals were asked to rate their pain intensity using a visual analog scale, activity interference, and sleep and mood disturbances. Participants also provided information on goal-setting (eg, exercise) and the use of psychological and/or medical pain management strategies. Individuals categorized as feeling worse were found to have poorer scores for pain intensity, pain interference, and irritability (P <.05 for all) compared with baseline levels. They also had higher Pain Disability Index scores (P <.001 and P <.05, respectively), higher Pain Catastrophizing Scale scores (P <.001 for both), and higher Hospital Anxiety and Depression Scale scores (P <.05 at baseline) at baseline and after 3 months, respectively. After adjusting for multiple variables, participants reporting feeling the “same” vs “better” had a mean 2.35 points higher perceived change score and participants reporting feeling “worse” vs “better” had a mean 4.37 points higher perceived change score. Study strengths include the use of multilevel modeling and repeated measures analyses. Study limitations include the use of patient self-reports, possible selection bias by smartphone ownership, multiple technological difficulties involving smartphones, potential lack of generalizability, inability to infer causality, relatively small sample size, and the lack of assessment of factors such as pessimism. 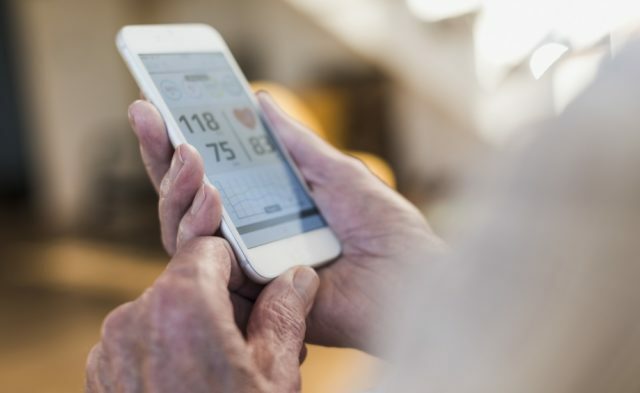 “These initial results support the concept that mHealth technology can be used to identify individuals who are prone to catastrophize about their pain,” noted the study authors. obtained from BrownMed, Inc, and Neurometrix, Inc.